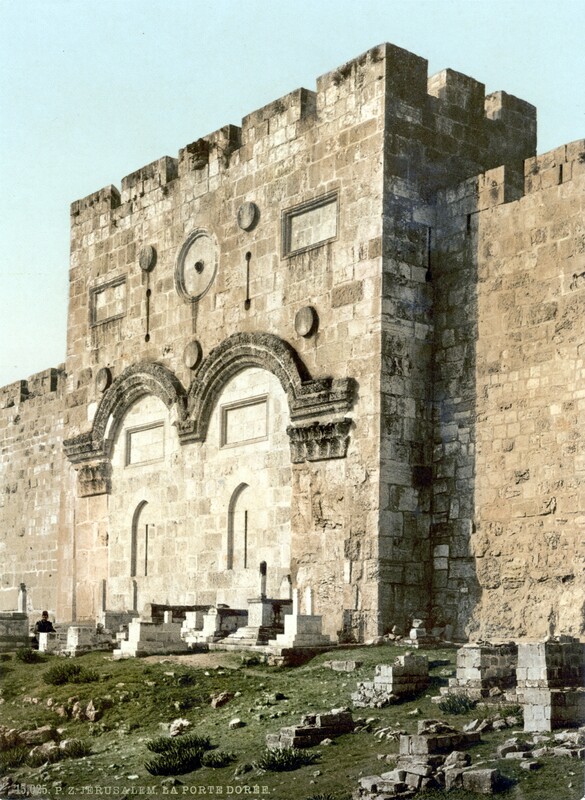 This is the Gate of Jerusalem where Jesus was admitted triumphantly. Many Christians think that with the announcement of the Messiah (false Prophet) the gate will be opened again. But, that will happen first in the 1000-year millennial kingdom. 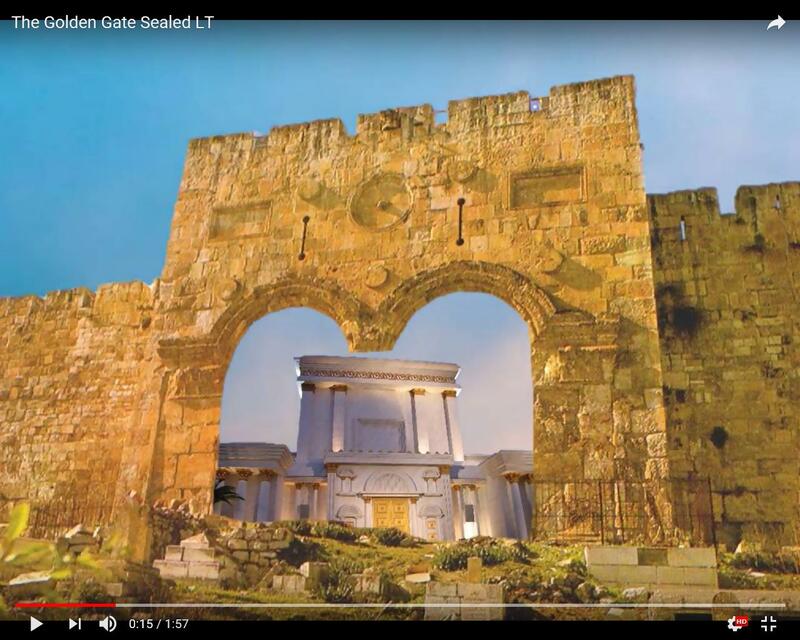 The command to close The Golden Gate, as foretold in Ezekiel 44:2, is seen by many as a prediction that the Eastern Gate will be bricked up and will only open again with the return of Jesus in the 1000-year reign of peace. The gate is only opened (Ezekiel 46:12) at the second coming of Jesus. 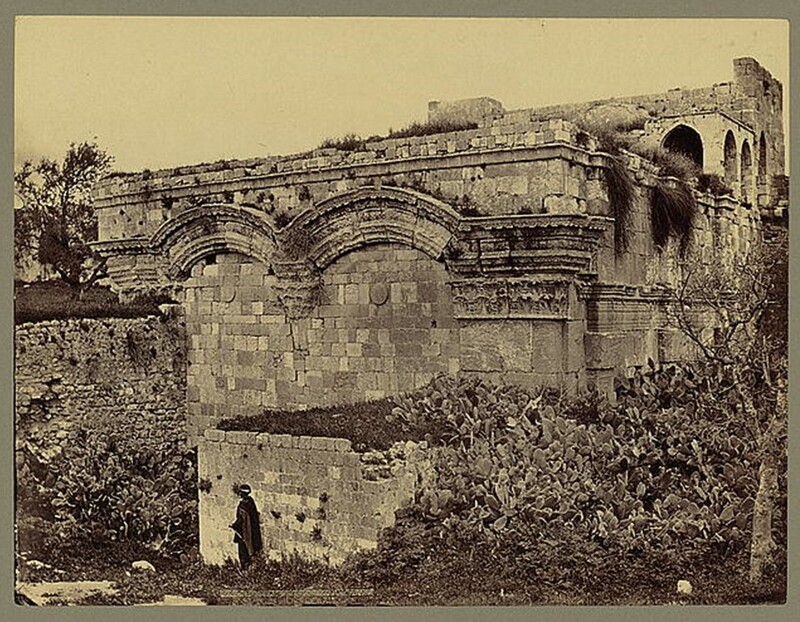 He will return to the Mount of Olives (Zechariah 14:4) and enter Jerusalem through the Golden Gate. When will the Gate be opened again? The fulfillment of this prophecy is getting closer and closer. The six working days is 6000 working years and the sabbatical day is the 1000-year millennial kingdom. Only then will the two doors of The Golden Gate be opened again. The false Prophet will not take place in the third Temple, because previously he will already be expelled from Israel! It remains to be seen whether they will build the third Temple. Anyway, Jesus will not use it, because He goes for the fourth Temple. 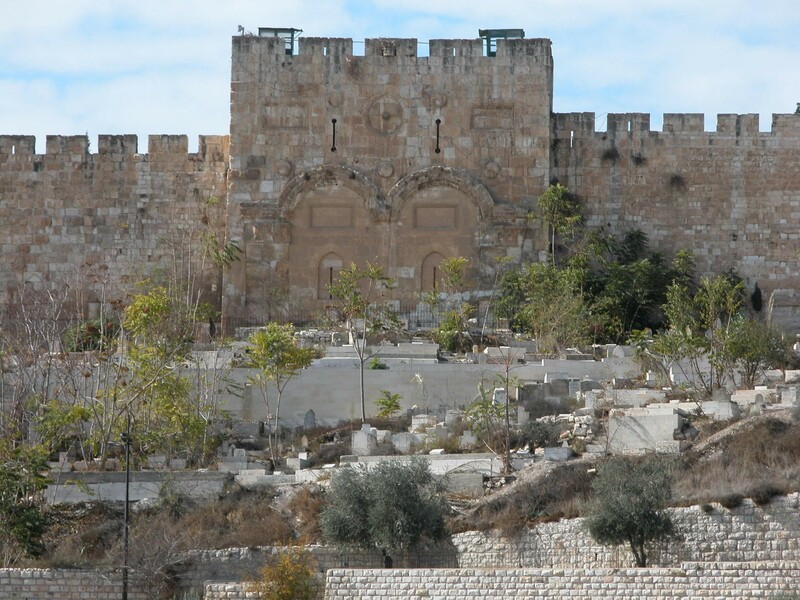 This Temple will be built in the Valley of the Mount of Olives. There is a source with running water. 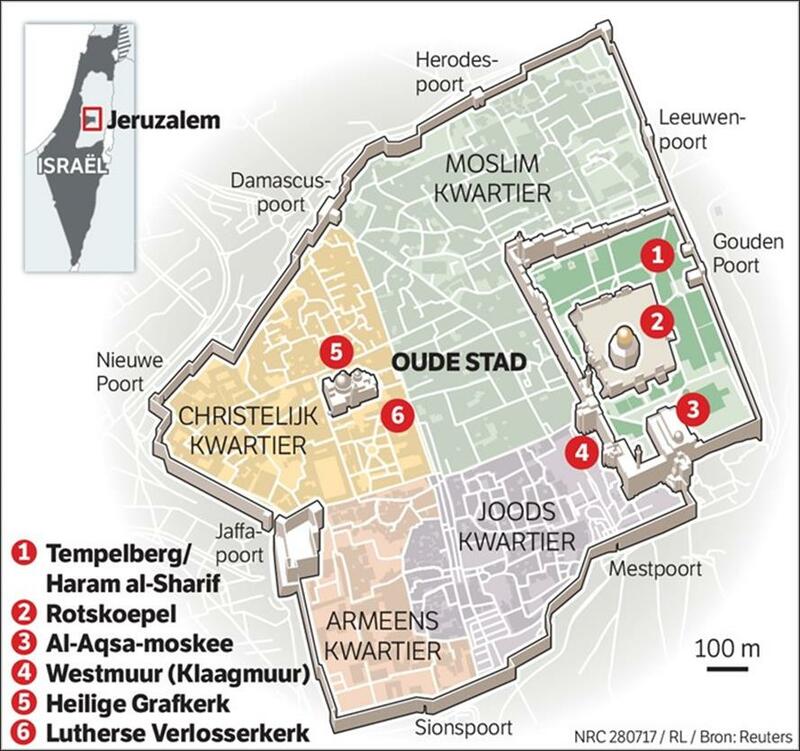 Now suppose that the third Temple would really be built, then with its inauguration not only the Temple but also the entire Temple Mount will be spiritually polluted. In that case it would then no longer be necessary to open the Golden Gate. Jesus would never go in there again. Because by seeing the third Temple, human being, but especially Jesus, would always be reminded that the false Prophet/Antichrist once took place there. 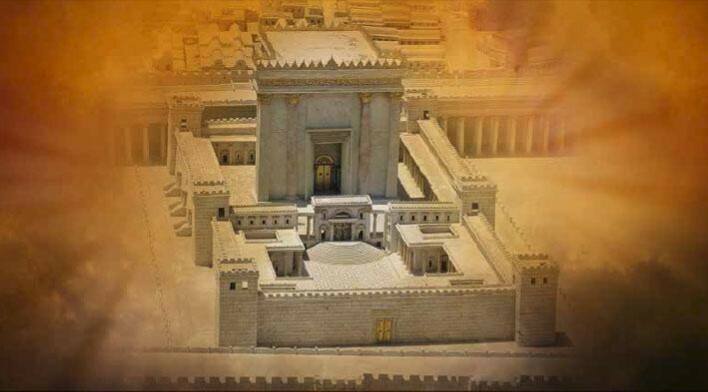 Because in no way the construction of the third Temple has begun, there might enter some doubt among the Christians whether the ‘Third Temple’ will or will not come. But, perhaps this fact must be seen as a spiritual Temple hidden in the hearts of Christians. Initially I assumed that the third Temple should have been ready by March 2018. But because the false Prophet has not been revealed yet, I must say that I am definitely not a clairvoyant. It has always been an inference on the basis of times that I have been able to take from of the visions and also what 2 Peter 3:8 and Ezekiel 46:1 has shown me. We have 6000 years of work and a 1000-year Kingdom of Peace, which is this Sabbath day, the seventh day. From Adam and Eve, we have 6000 years of work and a 1000-year kingdom of Peace. The 1000-year Kingdom of Peace is this Sabbath day, the seventh day. That is to say; if all these times do not match, the visions might have a different meaning. I am not going to hide behind others, who probably may have had the same visions as well. But the fact that we have very little time, is certain. According to John 16:13, these visions, which I received from the Lord, together with the many verses from the Bible, have a clear and unmissable message to all Christians, to start to get ready for the forthcoming Rapture, because the time is up! Because the waiting is still for the false Prophet, I now see something completely different. Namely; the moment the false Prophet makes himself known to the Jews and to the world, the Rabbis will do everything to get their Messiah into the third Temple. But within a few weeks they will soon realize that this is certainly not the Messiah they are expecting. It shall be by then already early August 2018. The month of the Rapture. If we see it this way, then it is possible to start with the construction of the third Temple, certainly. But it will definitely not be finished. With the study of the visions August 2018 and Fiche 59, a mistake is almost impossible. But yes, what can I still say about it. It is starting to become very exciting now.